In this talk, Dr. Peter Kwasniewski explores the meaning of Tradition as understood by Catholics from the time of the Church Fathers onwards. Having explained how the notion of tradition is complex, Kwasniewski argues that all of tradition is important to Catholics, because by it the fullness of the Faith is transmitted to us. The liturgy is a primary example. Making too sharp a distinction between what is of the substance of liturgy and what is accidental to it, or what is essential and what is incidental, betrays a reductive, minimalist, and rationalistic viewpoint that is hostile to Catholic identity and worship. The traditional Roman liturgy is a composite reality that speaks to man at every level and draws him powerfully into the sacred mysteries. It is proving to be a major element of the New Evangelization for young adults who are exposed to it. 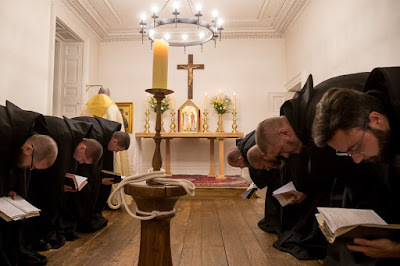 Although ecclesiastical traditions develop and change, the consistent practice of the Catholic Church over the centuries—it would, in fact, be no exaggeration to call it a rule or a principle—has been to carry along with her whatever is already part of her life, and the more so, the more universally it permeates the body of the faithful. Two corollaries follow. First, the longer the tradition, the more certain it is to be true, fitting, and beneficial. Second, new practices are to be admitted only when they refine, crystallize, amplify, or otherwise enhance traditions already in place. For example, one hears it said: “All that matters at Mass is that Jesus is present; everything else is secondary.” Undoubtedly it matters a great deal that Jesus is present, for otherwise we are eating no more than ordinary food. But the liturgy has a greater purpose than putting on a meal for us, and even Jesus’ presence has a greater scope and purpose than sacramental communion. The Mass is the solemn, public, formal act of adoration, thanksgiving, and supplication offered by Christ the High Priest to the Father, and by His entire Mystical Body in union with Him. It is the foremost act of the virtue of religion, by which we offer to God a sacrifice of praise worthy of His glory. It is the chief expression of the theological virtues of faith, hope, and charity. It is the inbreaking of the kingdom of heaven into our earthly time and space. It is the nuptial feast of the King of Kings. It is the recapitulation of the entire created universe in its Alpha and Omega. Because it is all this and still more, the Church down through the ages has spared no effort and no expense to augment the beauty and elevate the solemnity of her liturgical rites. As Pope John Paul II said in his final encyclical Ecclesia de Eucharistia: “Like the woman who anointed Jesus in Bethany, the Church has feared no ‘extravagance,’ devoting the best of her resources to expressing her wonder and adoration before the unsurpassable gift of the Eucharist.” So while it may be true that the only things necessary for a valid Mass in the Roman Rite are unleavened bread and wine of grapes, a priest, and the words of consecration, to see this as sufficient would betray a reductive, minimalist, and parsimonious view of things. Glorifying God and sanctifying our souls are deeply and intrinsically bound up with the fittingness of the worship we offer Him.